Looking to build a new home in 2019? Many people decide to start searching for a builder at the beginning of the new year – new year, new start, so to speak! If this is something you’re considering, take a look at the checklist below. It may help you avoid some common mistakes and make your choice a bit easier! What size, type and price range are you looking for in your new home? Most builders specialise in a specific type of home, price range or style. The building materials, tradespeople and even the building process itself can differ greatly by type and price of home. So look for the right fit for you. Experience does matter. Look for a builder with lots of experience in the type of home you want. Doing some research upfront will definitely pay off. Ask for references from past customers. And most importantly, only choose a licensed builder. While many builders have expertise in a variety of designs, it makes sense to look for a builder whose work includes at least some examples of the style of home you want. For example, don’t go for a builder who specialises in traditional homes, if you’re after a contemporary look. 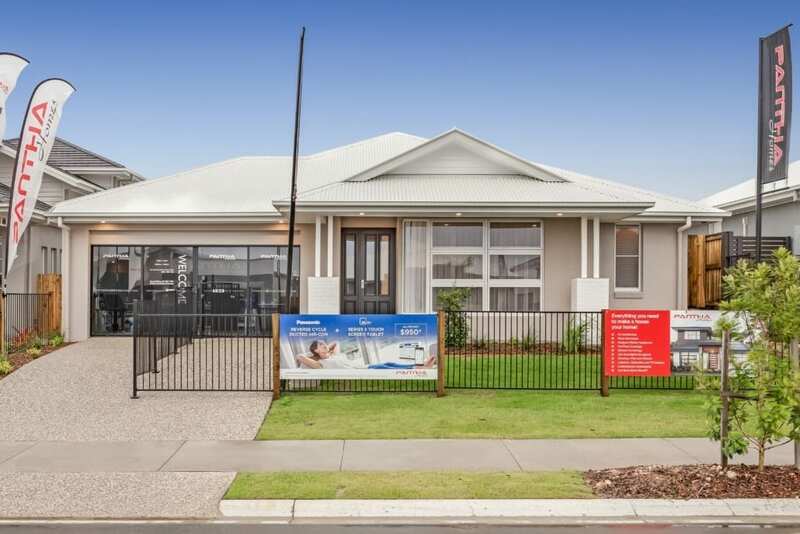 Once you’ve narrowed down a shortlist of preferred builders, you should visit their display homes. 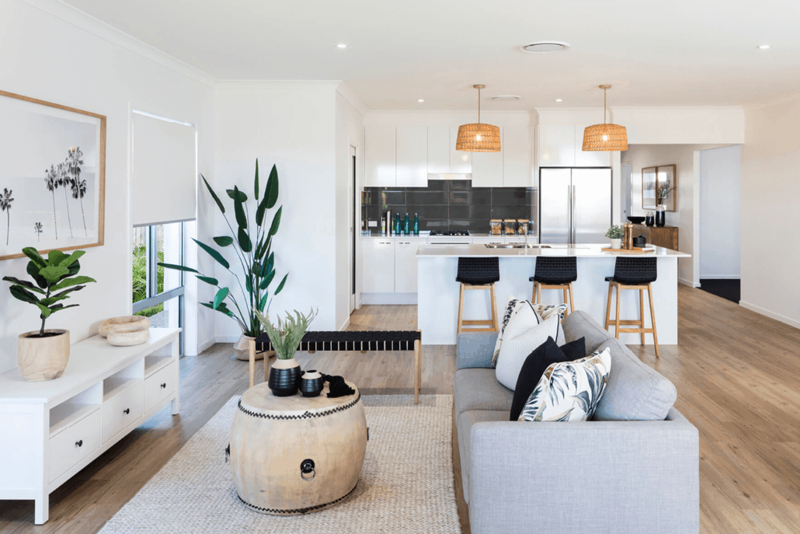 Pay careful attention to the look, feel and quality of their homes, but try not to be distracted by the furnishings, styling and other extras that aren’t included in the home build price. This can be deceiving! 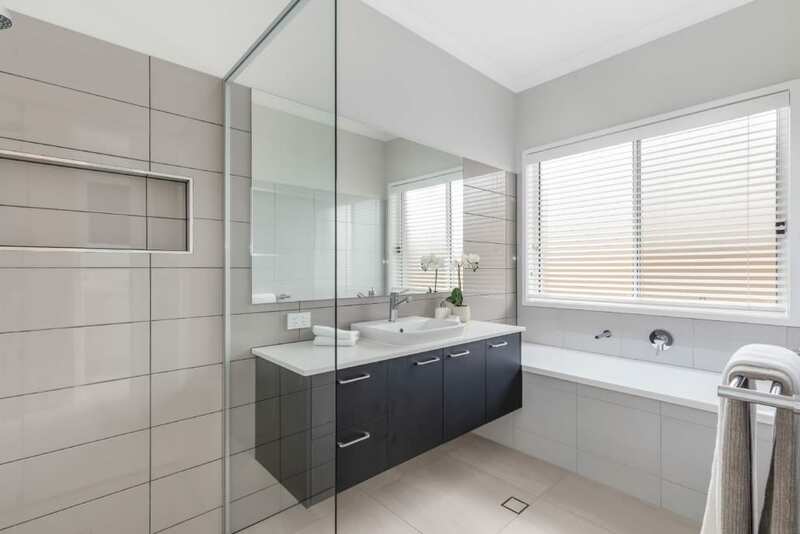 It sounds obvious, but make sure you look for signs of quality construction and attention to detail when you visit the display homes. Also consider the building products they use. Are they quality brands with good reputations? What kind of people work for the builder? Did the sales consultant show genuine interest in you and your needs? Did they listen and answer your questions? This is often just as important as the build itself – communication is key. 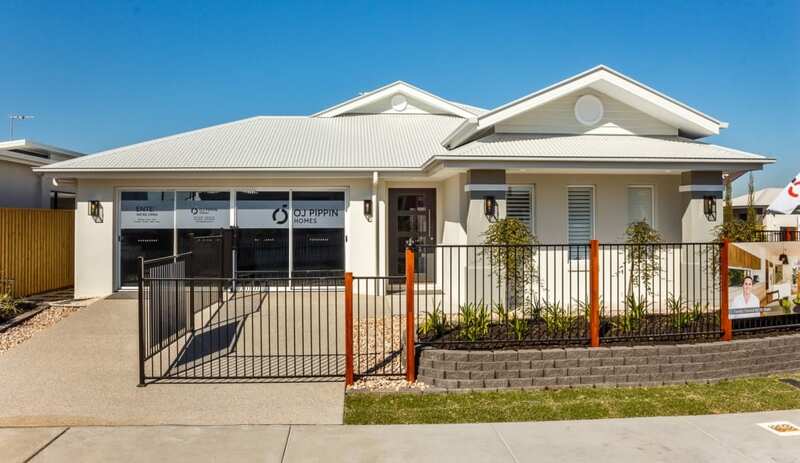 Hallmark build approximately 400 homes around South East Queensland every year for all kinds of customers, from young families who need room to grow, to empty nesters wanting to downsize. They are the ‘go to’ builder for people looking for a home that offers excellent quality at a great value price. 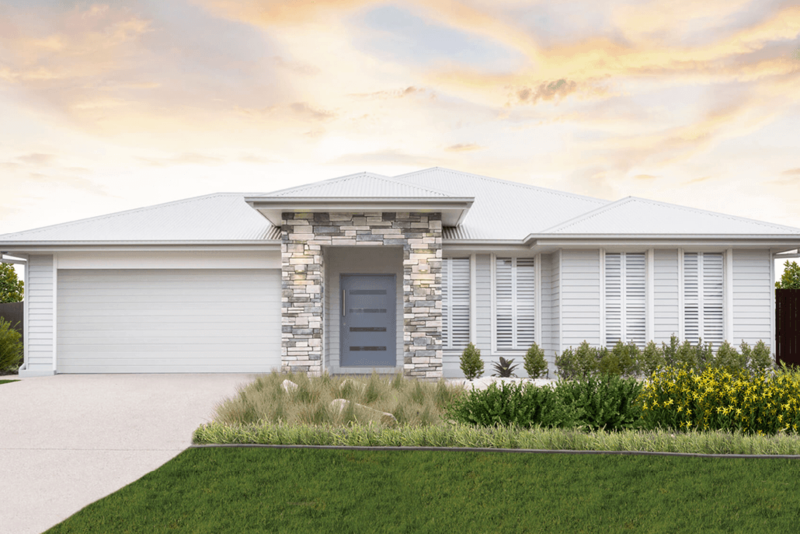 Hallmark Homes are proud to present three fabulous new display homes at the North Harbour Display Village – the Aspire 291, the Horizon 214 and the Edge 217. 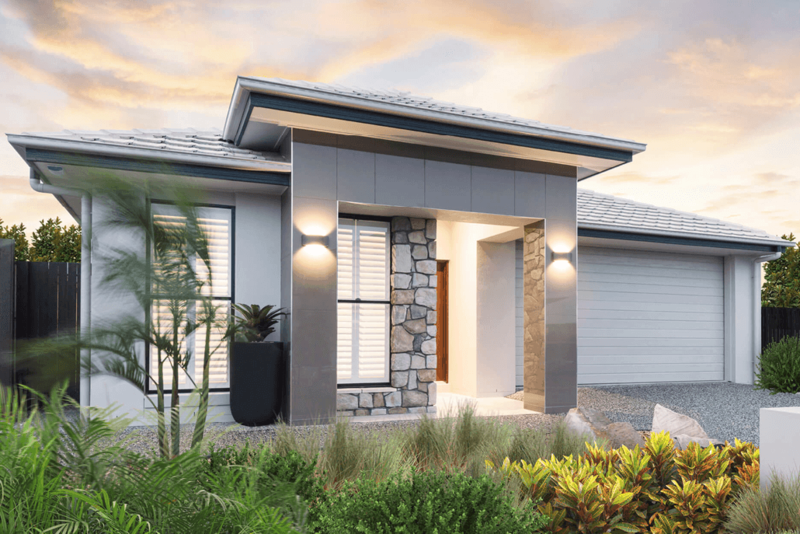 Offering a modern take on the classic Queenslander, the Aspire 291 is the first Hallmark display home ever to have a fully clad exterior, creating a breezy, coastal look, just made for relaxed Queensland living. With a stunning portico featuring natural stone in soft grey and cream hues, this is a classic look that will never go out of style. The Aspire 291 is a spacious home with four large bedrooms, a separate study, family/meals area, media room, kids’ activity area and a large outdoor alfresco area. With a gorgeous front façade featuring high gloss tiles and stone, the Horizon 214 is one of Hallmark’s most popular home designs. A flexible layout suitable for both families and downsizers, the Horizon 214 offers three generous bedrooms, a large study or fourth bedroom, spacious family/meals area, gourmet kitchen with walk-in pantry and a separate media room. 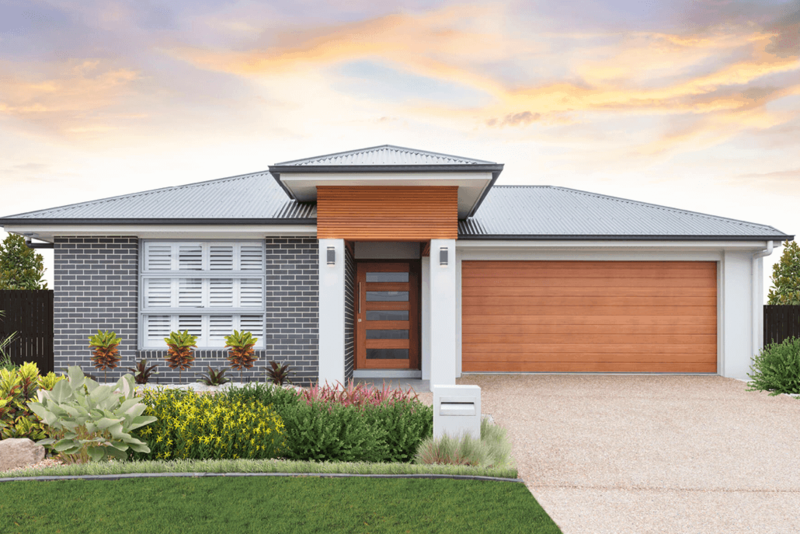 With a spectacular cedar clad portico and generous timber entry door, this fantastic new display home offers a unique combination of contemporary style and value. A large, open plan kitchen looking onto the family/meals area and alfresco areas is a highlight of the Edge 217 by Hallmark Homes. The island bench and walk-in pantry are perfect for the keen chef in your family. Four generous bedrooms and a separate media room make this a highly sought after design. With over 35 years experience building quality homes, Hallmark make the build process easy. If you’d like to see more, you can look through these beautiful display homes in person from Saturday to Wednesday, 11.00am – 5.00pm. 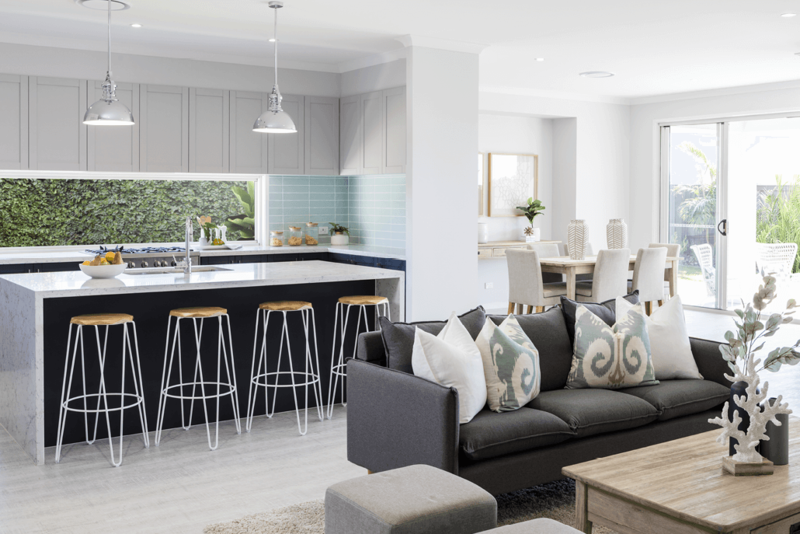 For more information about Hallmark Homes’ Display Centre at North Harbour, please click here (link to https://www.northharbour.com.au/display-village/hallmark-homes) or call 07 5302 6912. 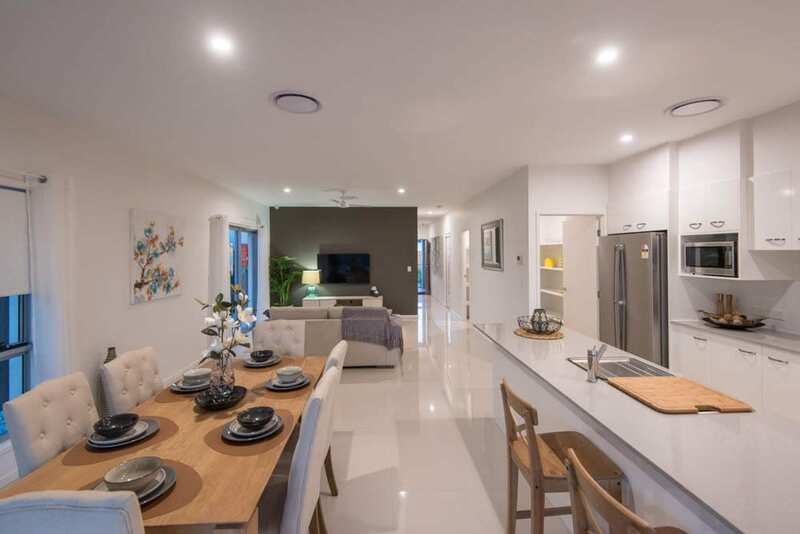 North Harbour’s Sales and Information Centre and 33 Home Display Village (with café and two playgrounds) are open every day from 10am-5pm including public holidays, located on the corner of Buckley Road and Fraser Drive, Burpengary East. We’re the people to meet if you’re looking for land for sale to build your dream home on, so contact us today! And, don’t forget our free weekend activities, parkrun at 7am every Saturday and Yoga in the Park every Sunday at 7am. Visit our Events page for more details.